Seafood chowder and a pumpkin party? That’s quite an interesting combination, right?! I’m so thrilled to be guest posting over on Tidy Mom today and sharing the recipe for this AMAZING Smoked Salmon Seafood Chowder. Did I mention it’s AMAZING? Because it is. And if you try it you will realize just how right I am. And why that word needs to be in bold and in all caps! But, I guess if you don’t like seafood this will look horrible to you. 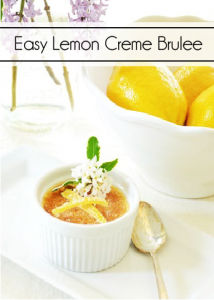 But if you DO like seafood and want to get this AMAZING recipe then head on over to Cheryl’s (a.k.a Tidy Mom) place! Now, let’s switch gears and take a look at something that will be pleasing to both seafood and non-seafood loving folks! Here are some fabulous features from last week’s Pumpkin Party. 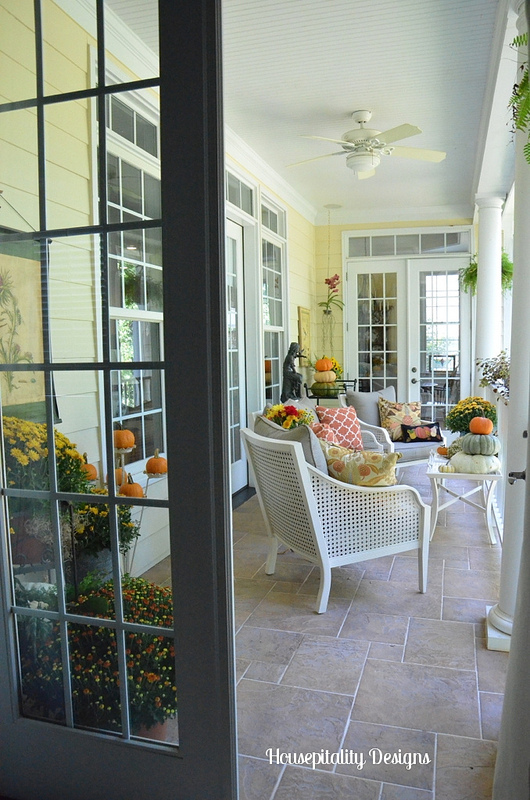 Shirley from Housepitality Designs shared her beautiful pumpkin covered porch. Laura from Top This Top That showed us how to make this Burlap Pumpkin Wreath. 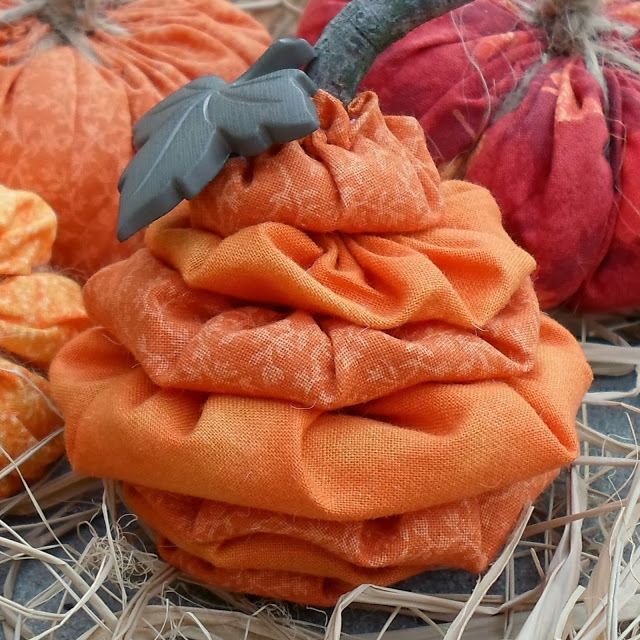 Maryann from Domestically Speaking shared several projects including this Burlap Pumpkin Art. Lynn from Happier Than a Pig In Mud showed us how to make these Stacked Yo-Yo Pumpkins. 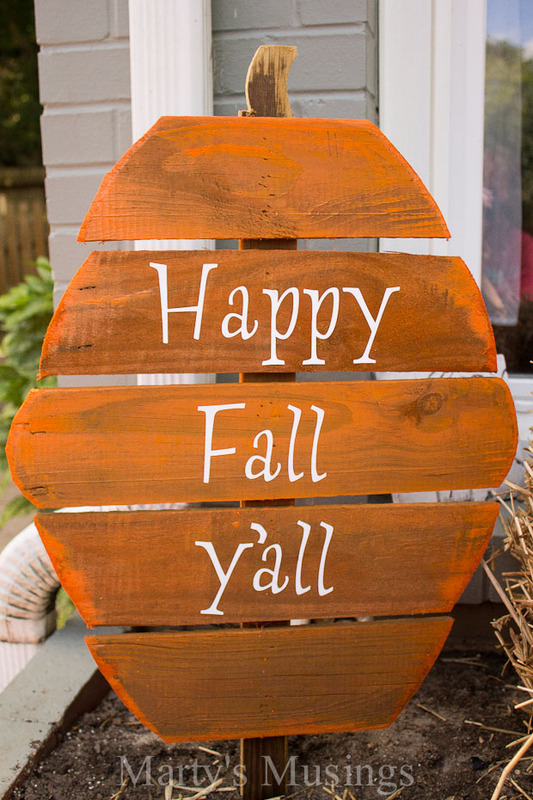 Marty from Marty’s Musings showed off this super cute Fence Board Pumpkin. 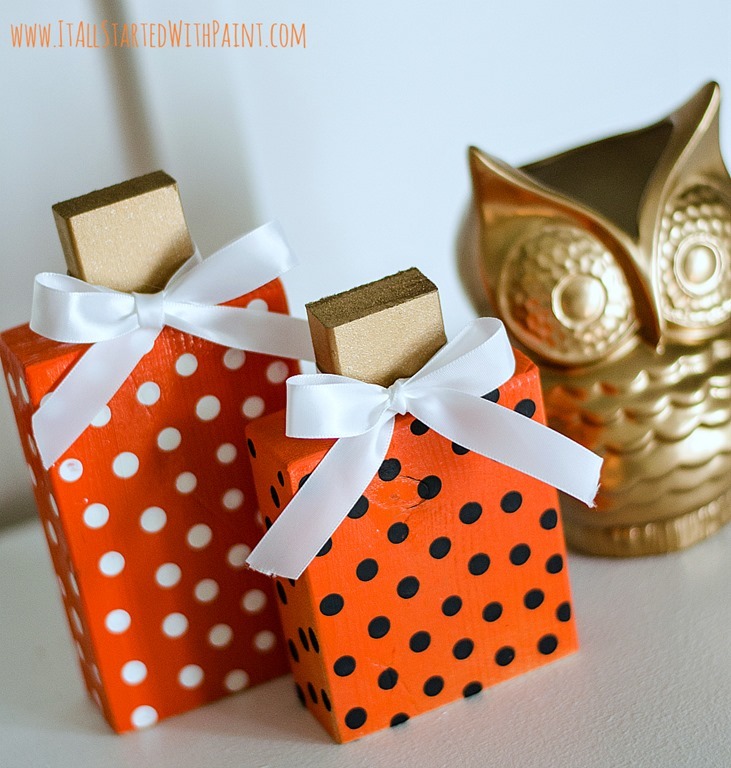 Linda from It All Started With Paint showed how to make these Wood Block Pumpkins. 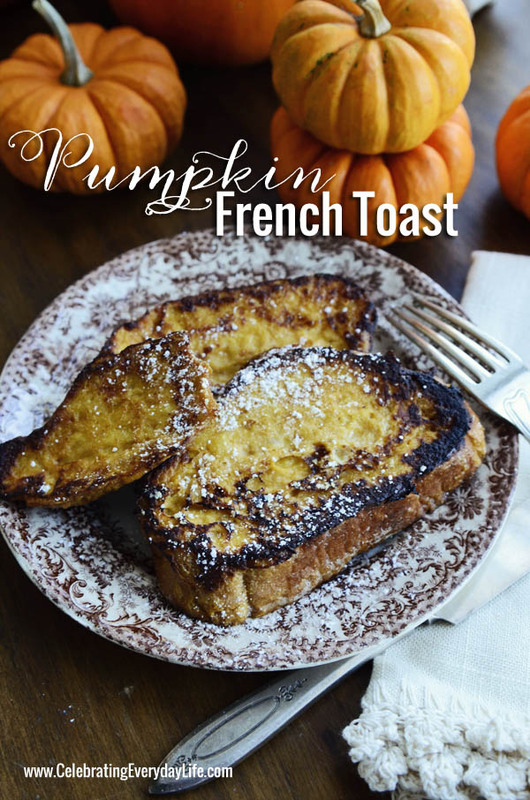 Jennifer from Celebrating Everyday Life shared the recipe for Pumpkin French Toast. There were lots of other fun projects, recipes and crafts at our Pumpkin Party so head on over to take a look for more ideas and inspiration! 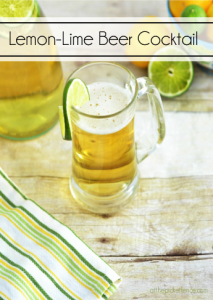 9 Comments on "Seafood Chowder & Pumpkin Party Features!" Thank you, ladies, for sharing my fence board pumpkins. The features are terrific! Have a blessed day! 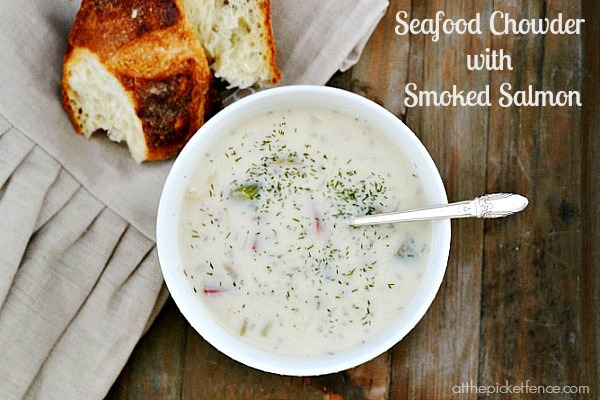 The Seafood Chowder looks wonderful….and thanks so much for sharing my Fall Back Porch ladies! !..Loved all of the features today…..Have a wonderful week!!! Thanks so much for featuring my pumpkins, ladies! So greatly appreciated and a wonderful surprise on a Monday morning! 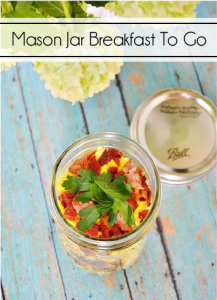 That chowdah looks delicious–pinned it! Thanks for sharing, girls! 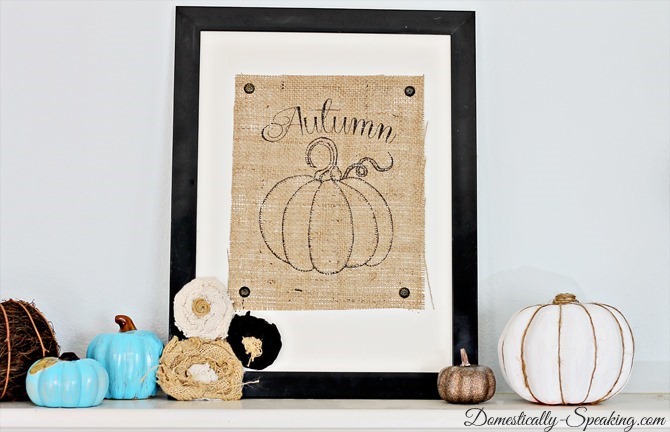 Thanks for featuring my burlap pumpkin art ladies! That seafood chowder looks and sounds so YUMMY!! 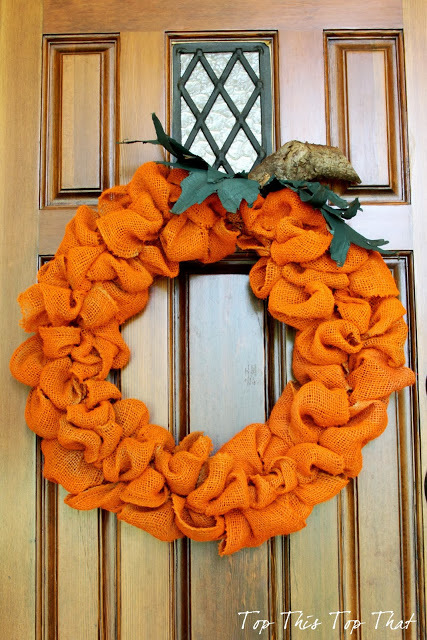 The pumpkin art is really an amazing for the home parties as well as this is the nice blog for the pumpkin lovers.